Follow Us on Facebook, Twitter and Instagram to receive our exclusive monthly discounts in your news feed! 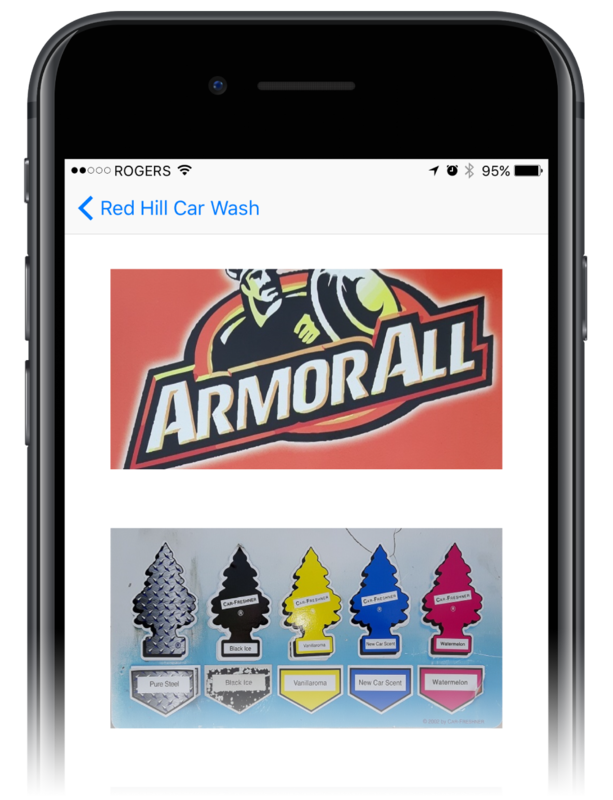 Download the free Red Hill Car Wash App for iOS or Android and manage your wash experience from your smartphone. Add funds to your account or view your balance anytime, anywhere. Tap the "Buy Now with PayPal" button on the app dashboard to add funds to your account. Activate a wash bay, no coins required. Once you've parked your vehicle in a wash bay, take note of the bay number. From the app dashboard tap the "Use Coin Bay" button. Select the correct bay number and amount and tap the "Start Bay" button. Thats all there is to it! Activate a vacuum station, no coins required. Once you've parked your vehicle at a vacuum station, take note of the station number. From the app dashboard tap the "Use Vacuum" button. 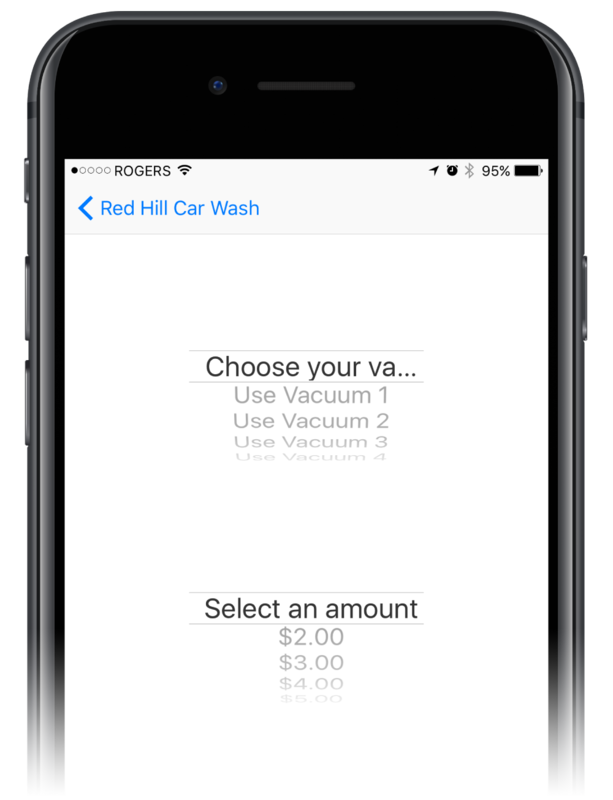 Select the correct station number and amount and tap the "Start Vacuum" button. Thats all there is to it! Purchase cleaning products from our vending center. Now done by choosing "My Rewards" from the side drawer. Valid rewards appear. Simply Tap the reward and choose the equipment to redeem. Download the newest version of the app to see for yourself. 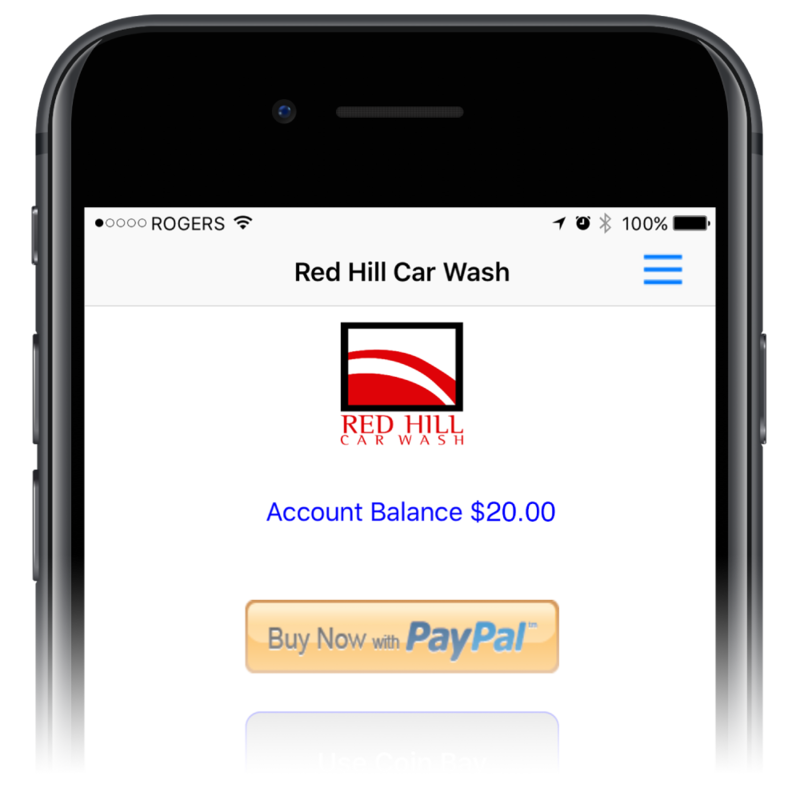 Download the Red Hill Car Wash App and start earning rewards today. 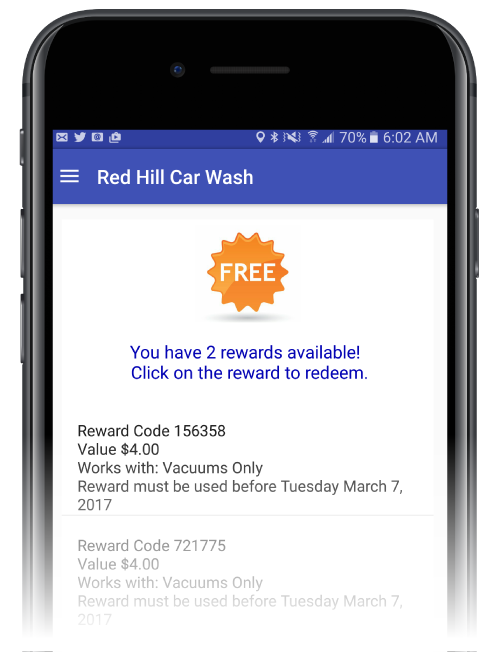 Earn free rewards with every wash when you use the Red Hill Car Wash app. © 2017 - 2019 Red Hill Car Wash Inc. All Rights Reserved. Website Design by Livingstone Interactive.